SALE $3,199 More Leathers. Same Price. A living room or great room is where you gather with family to celebrate. It’s where bonds are made with family and friends, and traditions passed down. The setting should be beautiful and comfortable. Bassett designers strive to create leather sofas and loveseats that help make those moments just a little bit more special. Your leather sofa must be stylish. It must be durable. 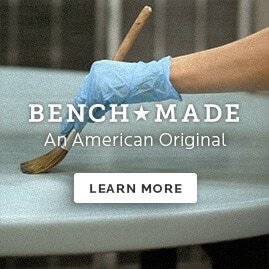 We’ve got this down, as seen in our 100+ years as America’s premier furniture maker. And with a myriad of designs and leathers available, you’ll have no trouble finding or creating a custom leather sofa to match your style and decor. Our buyers search the world for the highest quality leathers. Sourced from Europe to South America, you’ll notice the difference immediately. From hand-finished hides to gently polished leathers, the emphasis is on quality and attention to detail. Leather sofas often look better and feel better with age. Just as leather jackets develop character with added wear, so do leather sofas. Leather is more durable than fabric and is easier to clean, as well. Visit a local Bassett showroom and see what our designers have in store for you. Get inspired by leather sofas, leather recliners and living room furniture made to astound. With more than 50 leathers to choose from, you’re sure to find the leather couch that speaks to you. Stop by or make an appointment to speak with one of our talented design consultants to create a furniture piece all your own.